Back in September, Brad and I ventured up to New England for one of my friend's weddings. I had been to Connecticut before, but Brad had not been to New England, except for a few work trips to Boston. The views were amazing, the wedding was next level fun, and it was great to see these two get hitched! 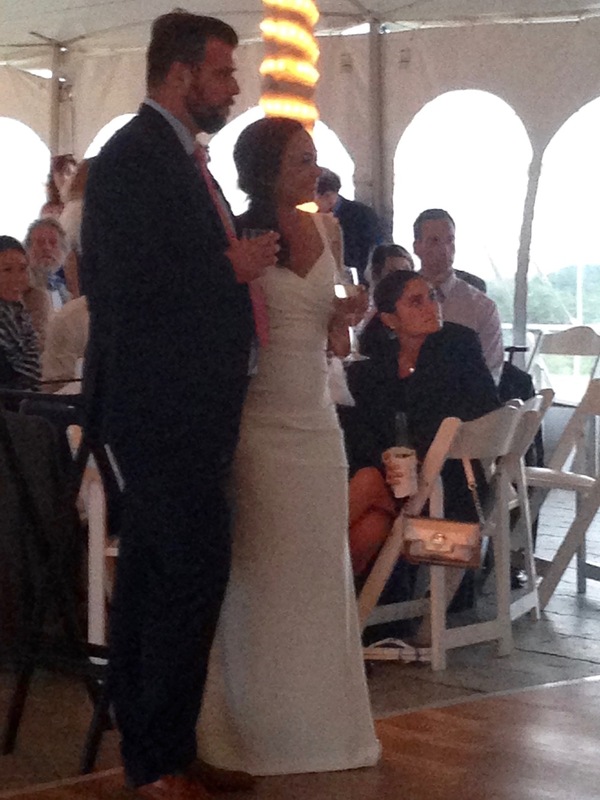 The wedding was on Block Island. So, we had to ferry over. So. much. fun. We drove up after work one night and stayed with one of B's friends in Rhode Island then, headed out the next day around lunch. Day drinking on a ferry with prosecco... Yes Please! We stayed at New Shoreham House. My first B&B experience! We made our reservations very late... originally we weren't going to go so we could save $$$ for a house (which I had no idea we would be getting so soon at that point in September!). But, I talked B into it because the couple is so fun and he knew how bad I really wanted to go. The chamber of commerce is awesome! I had a lady mail me a packet with brochures and she helped me find a place to stay when everything was booked. Such awesome customer service for a chamber! New Shoreham House was nice and good enough for what we needed. We weren't really in the room that much for it to matter. 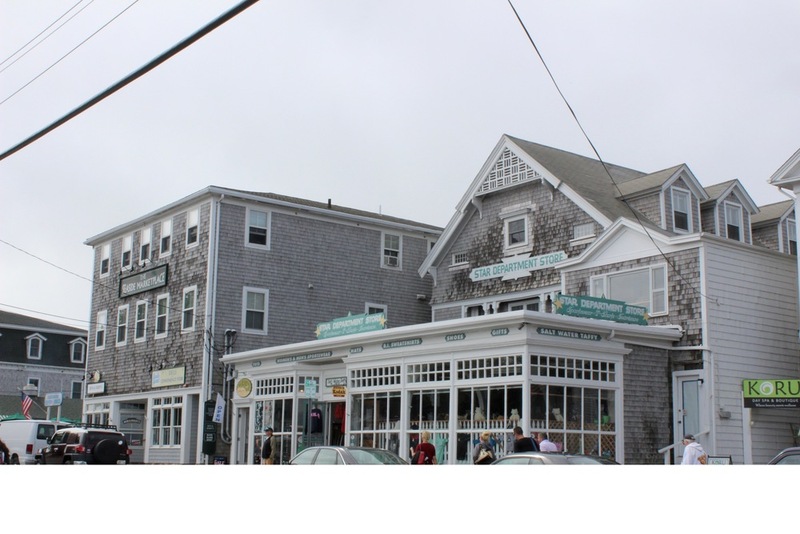 There are so many cute places on Block Island. Just make sure to book early enough. You can rent bikes to travel all over the island. No one really brings cars over unless they live there. My favorite spot was Yellow Kittens. Such a fun bar with great bands! Definitely check it out if you make your way to Block Island! Seriously, they had the cutest shops, great little restaurants, and fun bars. Make a plan and go - ASAP! A and B were married at The Sullivan House. AMAZING views. The were married with teh great salt pond in the background. Such a beautiful place to get married and one hell of a wedding! It was very windy, so my hair was a mess, but I did not care because we had such an awesome time! Dinner, too many drinks, and some awesome dance moves were had at the tented reception after the wedding. A, the beautiful bride, looked stunning and they are so in love, so sweet! She is Liz's bestie from college and we were co-hbic's for Liz's wedding. I love that little lady! Did she not look incredible? Such style! If a picture could talk... love all these folks! Happiness! Beautiful views, awesome weekend, and such a lovely time on Block Island, Rhode Island. To top it off, B and I both marked off another state - so one more down on my 30 before 30! I turn 29 tomorrow! Happy Birthday to me! :) To celebrate my last year in my 20's, I have decided to do a 30-before-30 list! I think I can accomplish this and more if I put my mind to it! I am very lucky to be celebrating with my sweet husband this year. So much attention has been given to us this year so we are celebrating quietly with a small dinner in my favorite neighborhood spot with my closest friends in DC and VA. Here is my list and I will keep it updated once a month! Very excited to get started!